There is no doubt that Chrome is considered to be one of the best browsers for Android machines. It can also be customized highly by using several tricks to improve the experience of using it. Here are some of the tricks and tips that can help in improving the performance of Chrome for Android. Not many of us are aware that there is a shortcut with the help of which we can switch between the tabs. Or that we just need to swipe on the toolbar left or the right when the browser is opened for accessing any of the other opened tabs. Also, to see the tabs opened in stacked list we need to swipe the toolbar towards down. This trick is very cool whenever we are not willing to even lift our fingers. For navigating to the chrome menu, we just need to tap and hold the icon on the menu and the option which we are looking we can slide the icon towards it. 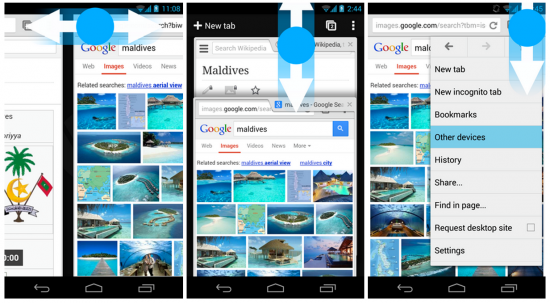 It is one of the most significant and useful features of the Chrome browser that is often overlooked by Android users. This feature is for reducing the data that we are using while browsing. In order to enable it, we need to follow the steps- Menu> Chrome> Settings> Click on data usage at the bottom> Turn on the data server option. You will also get the graph of the monthly data saved. For those times when you are disconnected from the internet, there have been several addictive games designed by Google for the Chrome browser and for Android phones. 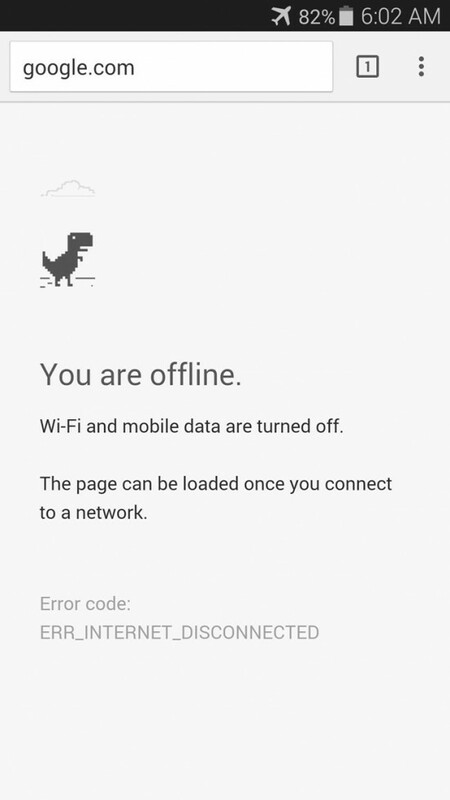 When you are offline, you will see that there is a little icon of a T- Rex, and when you click on it, you can start running the endless games even though you are offline. We all love to have shortcuts and, therefore, it will be easier for us if we have a shortcut where we can reach our favourite websites without having to search for them again and again in Chrome. For this, all what we need to do is create an icon first which will redirect us to the favourite website on the home screen of our phone. On our favourite site, we need to go to the menu tab and click on add to the home screen. Usually 64 MB of the RAM is by default committed to the Chrome browser. We can toggle between Chrome settings when we click on the URL tab and write Chrome: //flags for making Chrome much faster than it was before. Also, if there are any warning messages we can just ignore them. Once we are in the menu, click on Find Pages, and then we need to type maximum files. Below the “maximum files for interest” there will be a drop-down menu. Click on it and choose the amount of RAM Chrome should be utilizing and then tap “relaunch”. The tips mentioned above are really very helpful for the times when Chrome sometimes takes too much time for loading or frequently crashes. It is also important to realize that a slow browsing session may not always be the fault of the browser. Malware and viruses can also slow things down, which is why you need to make sure you have the proper Android antivirus and malware detection software installed and regularly run checks with it. You might find that your clunky browser is the result of a server exploit or a Trojan horse that has hijacked your system. Using these tips we can use our favourite Chrome browser with a significantly higher speed and also it will help us in improving the reduction in the rate drops of the frame. Hence, we can squeeze out much more from chrome to make sure we can run our phones smarter and we can browse without any delay.